Can I Just Hide In Bed ‘Til Jesus Comes Back? Bolton, Martha. And Ditchfield, Christin. Can I Just Hide In Bed ‘Til Jesus Comes Back: Facing Life With Courage Not Comforters. Carol Stream, IL: Tyndale House Publishers. 2017. Feeling down in the dumps at times can cause wanting to hide in bed and not get up. Under the premise of not getting out until Jesus comes back, authors Martha Bolton and Christin Ditchfield offer encouragement, humor, inspiration, chuckles and reasons to actually get up and get moving. Set up in 2-3 page bite-size chapters, each tackles a topic, includes a quote, a personal story, a reference to scripture, encouragement and a smile. 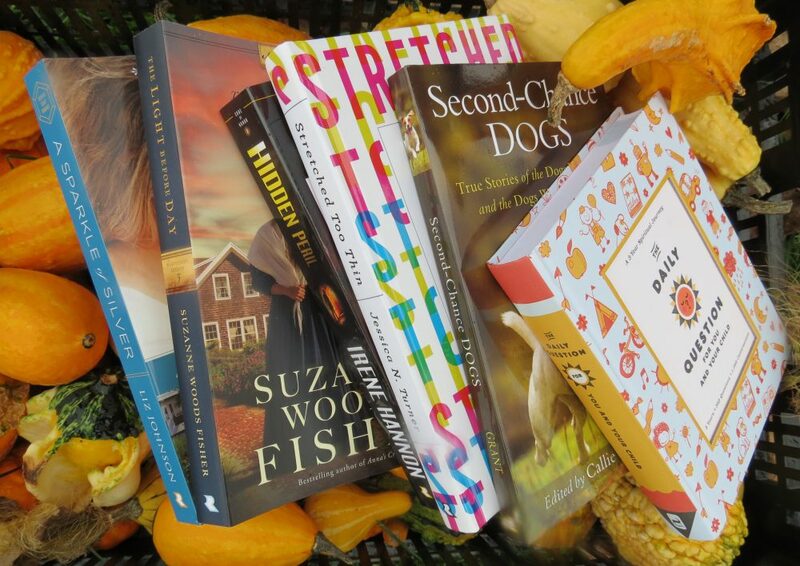 Offered by Focus on the Family, this book comes complete with a cute cover and title. Drawn by the title and cover, I expected a light-hearted, fun book to read in snippets. Bingo! That is just what I received. 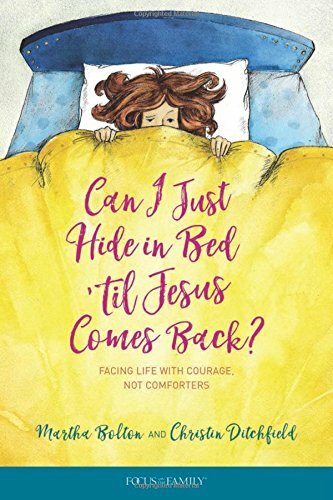 Able to read a brief section at a time, Can I Just Hide In Bed ‘Til Jesus Comes Back would be a perfect pick-me-up gift for a friend or self, maybe the basis of a Bible study or ministry or great as an addition to a church library. Enjoying the lists, the stories and scripture references, I think this book clearly hits the mark for the intention of moving forward, no matter the desire to stay in bed and hide. Definitely a book to read and share. This entry was posted in Christian Books, Christian Contemporary and tagged Christian, Christian Author, Christian Book Review, Christian Contemporary, Devotional, Inspirational by Savurbks. Bookmark the permalink. Love the title! I have felt that way at times! This book sounds like fun and could change my attitude on tough days. Thanks for telling us about it! Oh, my sometimes I would love to do just that! This sounds like a wonderful little book, one more for my TBR, too! !